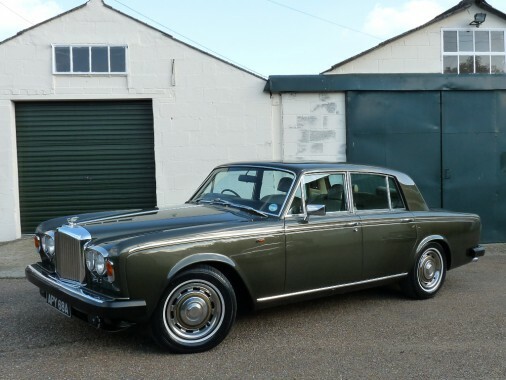 We supplied this beautiful Bentley nearly three years ago and it has returned to us to make way for an Arnage. It was purchased new from Jack Barclay who serviced it initially and then Rolls Royce at Pyms Lane took over the maintenance. Subsequently, every service has been carried out by Rolls Royce specialists, latterly by Sargeants of Goudhurst, and this is backed up by a fully stamped service book and a thick history file. The car has covered 147,000 miles. The previous owner, a good customer of ours, was meticulous in its care and he spent over £21,000 in his eight years ownership to make sure everything was just so. The last keeper has continued this care with services every year irrespective of mileage and the car has recently had a large service and brake work. He also had the seats and armrests carefully re-connolised, a modern starter motor fitted and steering works carried out. The specification includes the famous 6750cc, eight cylinder engine with a three speed automatic gearbox, ice cold air conditioning (rebuilt by Sargeants), four headrests, lambs wool overrugs, electric seats, new Avon narrow band white wall tyres, Lucas driving lamps, and a C.D. player. One of only 558 T2 Bentleys built, in a superb colour combination and with great provenance.